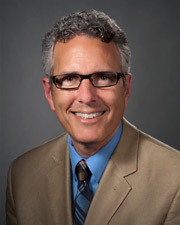 Robert Moldwin, MD, FACS is Director of the Pelvic Pain Center at The Arthur Smith Institute for Urology and serves as physician-in-charge of Urologic Infectious/Inflammatory Diseases. He is Professor of Urology at the Hofstra North Shore-LIJ School of Medicine. A world-renowned leader in the field of pelvic pain, Dr. Moldwin has special interests in varied pain syndromes of the bladder and pelvis. His other clinical and research interests range from urinary incontinence to infectious diseases of the urinary tract. Dr. Moldwin is published in peer-reviewed journals including Cancer, The Journal of Urology, The British Journal of Urology International, The British Medical Journal, Contemporary Urology and Urology. Dr. Moldwin is an expert consultant, lecturing to audiences of physicians, patients and members of the media on issues including incontinence, urological health, interstitial cystitis and pelvic disorders. Dr. Moldwin currently serves on multiple medical advisory boards including the Interstitial Cystitis Association, where he serves on the Board of Directors. He is affiliated with numerous medical societies including American Urological Association, International Association for the Study of Pain and The Society for Female Urology and Urodynamics. He is past president of the Society for Infections and Inflammation in Urology and is a committee member who updates the American Urological Association s IC/BPS Guidelines. He is also co-chairperson for Multidisciplinary Approaches to the Study of Chronic Pelvic Pain, a research study sponsored by the National Institutes of Health. After earning his medical degree at the University of Chicago Pritzker School of Medicine, Dr. Moldwin completed his general surgical training and urology residency at the Long Island Jewish Medical Center. He also served as a Valentine Fellow through the New York Academy of Medicine, studying infectious and inflammatory urological diseases in the Department of Urology at Thomas Jefferson Medical College in Philadelphia. "loved him! thorough, informative. A forward thinker. Discussed options with me and gave me hope for resolve." "Dr. was very patient. Was impressed with the amount of time he spent with me." "It feels like the provider doesn't really care and shows no empathy or understanding about how the condition affects my life. I don't really feel like I'm listened to and it seems more like I'm in a factory line of patients." "Explained, even drew pictures to better understand. Very well." "Dr. Moldwin is the best!" "Dr. Moldwin is the most wonderful doctor I've ever seen. He is brilliant but very approachable and empathetic." "Dr. Moldwin is a very caring and attentive physician." "Dr moldwin is exceptional in his bedside patient care, never makes me feel rushed, explained everything thoroughly with multiple opportunities for questions- values my opinion and my interpretation of my experience with my illness"
"Love Dr. Moldwin - Have been his pt. since 1998 - Always compassionate & caring about me!" "Dr. Moldwin presents himself as a caring, concerned and very knowledgeable professional. Very pleasant personality." "Most caring doctor, compassionate, try to find ways to reduce my suffering." "Had 2 doctors that visit - fellow - great experience as always!!" "Best care provider in urology." "not all medics was fully discussed that was why I needed to call back. being a new patient having a lot going through my mind and overwhelmed we didn't fully discuss my regular medication at all except for when I said that I was taking them." "Dr. Moldwin is the best - if all my doctors were like he is I would be very lucky!" "Have been with Dr. Moldwin for (9) years and very happy with him and his staff." "This physician is excellent, brilliant and caring." "Loved Dr. Moldwin. He is great! Very sweet & wish he was my doctor for everything." "Dr. Moldwin is always the perfect gentleman, as well as a concerned and caring professional." "Dr. Moldwin is an exceptional healer. Caring and expert." "Dr. Moldwin is knowledgeable, professional and caring. Excellent listener. Been driving from RHODE ISLAND to Long Island for 12 years." "Dr. Moldwin is the best doctor! He's very compassionate, effective and helpful." "Dr. Moldwin is an excellent doctor"
"He should return patients calls. If we call is because we need to speak to him or his assistant. Poor communication." "Among the TOP physicians I have ever seen!" "Dr. Moldwin is a fantastic Doctor! He's very compassionate, knowledgeable, and thorough. He is just the best!" "About twenty years of experience with Dr Moldwin, consider myself lucky to have found him." "Dr. Moldwin is the ultimate MD in his specialty & I feel he sincerely loves his profession & his patients." "Dr. Moldwin - save my life some 20 years ago, other urologist missed diagnosed, Dr. Moldwin set me on a path to recovery and I have been healthy with my moderate BPH ever since - best MD ever." "i definitely would recommend this physician to others"
"Very good meeting with Dr. Moldwin." "Dr. Moldwin is a very knowledgeable, caring and friendly physician. I feel very confident that I am receiving the best care for my urologic issues." "Dr. Moldwin is fantastic - caring, concerned & knowledgeable & warm -"
"Dr. Moldwin is the best urologist for me." "Dr. Moldwin is the most caring, fabulous doctor. He is compassionate, understanding and always looks for a solution to help me feel better. He is an A+ doctor." "Excellent "bedside manner." Concerned, friendly, put me at ease." "Dr. Moldwin is an experienced intelligent and caring doctor. He always answers any questions I may have. I trust his judgment. I would never see another doctor for my urology issues." "Dr. Moldwin is wonderful. Excellent communication & interpersonal skills. Obviously an expert in his field." "care provider very professional, concerned and attentive." "DR. Moldwin has been a lifesaver for us (me, the patient, and my husband, who is a partner in all that I go through). We drive in from Rhode Island. That's how helpful, sympathetic and positive the two of them (Dr. Moldwin and Marina) have been always. We owe a lot to them both." "Dr. Moldwin has helped where other doctors have failed. He is VERY attentive and caring. THE BEST!" "Dr. Moldwin is one of the best physicians I have ever come across (and I am in the medical field myself)." "Greta demeanor, I felt very confident in his care."